On January 1, 2016 the bilateral ceasefire between the Colombian government and the Revolutionary Armed Forces of Colombia – Peoples Army (FARC-EP) comes into effect. A final peace accord by March 23, 2016 is, however, unlikely due to the complicated final issues that have to be resolved after more than five decades of civil war. Colombia has had peaceful Christmas holidays, as much without fear as it is possible in a country that has experienced more than five decades of civil war. The relative calm during the holidays is widely regarded as a positive sign, suggesting that the bilateral ceasefire may come into effect and be kept. Both the government and the FARC-EP agree that the most serious threat to security is posed by ultra-right-wing militants. 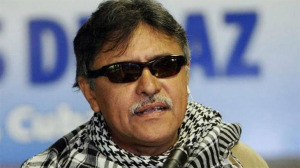 Jesus Santrich, member of the FARC-EP‘s peace negotiators in the Cuban capital Havana stressed, however, that expectations that a final peace accord would be reached by March 26, 2016, as agreed, may be overly optimistic. In statements aimed at the public both the government and the FARC-EP position one another as being responsible for stalling the peace process. The matter of fact is that there remain a number of immensely complicated issues that cannot be easily resolved. Issues which cannot be rushed without risking a backlash. The logistics of the disarmament of the FARC-EP. Both sides recognize that the issue is complicated and that the disarmament of FARC-EP units makes both FARC-EP members as well as populations in FARC-EP controlled areas vulnerable to violence and atrocities committed by right-wing militants. There are practical issues which cannot be rushed without risking serious unintended consequences – besides the fact that there is need for trust-building. The government insists that the FARC-EP guerrilla surrender their weapons to the State while the FARC-EP insists that the weapons be surrendered to a third-party. The FARC-EP also stresses the need for decisive government action with regard to dismantling right-wing neo-paramilitaries which were established after the demobilization of the AUC between 2003 and 2006. Fmr Colombian President Uribe. Will his house of cards come down? The government and the FARC-EP have agreed to maximum prison sentences for war crimes committed during the over five decades-long civil war. One point of serious contention, however, is that President Juan Manuel Santos is seeking presidential immunity as part of the final peace accord. This immunity would not only exempt Santos from eventually facing justice. More importantly, it would exempt former president Alvaro Uribe who stands accused of involvement in or responsibility for massacres committed in 1997. Another issue is economic compensation for the victims of the conflict. The FARC-EP insists that it does not have the finances to pay economic compensation. International experts have recommended a government-funded compensation fund as a possible solution. Tax revenues from now FARC-EP controlled regions could in part finance the fund. One further and important issue is the interference of foreign NGO’s like Human Rights Watch who insist that the final peace accord should follow the Anglo-American understanding of justice rather than an approach based on Colombian initiatives and concepts of justice. Human Rights Watch accused the government and the FARC-EP of “agreeing on impunity” to find a solution to end the civil war and recommended that both Colombia’s Constitutional Court and the International Criminal Court (ICC) carefully review the situation. Ironically, HRW would not mention any of the atrocities committed by the United States, which include child sexual abuse, thousands of rapes and other serious war crimes. No US citizen is subject to prosecution by the ICC. Internationalizing the peace process according to an Anglo – American concept of international justice would, according to several experts in conflict resolution – the author included, complicate actual justice and reconciliation after more than five decades of civil war where crimes and atrocities have been committed by all of the conflicting parties.